The Chinese space station has made the news time and time again in recent weeks due to the fact that it’s soon going to crash down to Earth. Various space agencies have managed to give us a wide window that has narrowed considerably as time goes on, and it’s looking as if we’ve narrowed it down to one day, with the Chinese space station expected to hit Earth on March 31st. The Chinese space station has been out of control for months at this point after China lost contact with it – likely due to pushing the craft beyond its limits rather than retiring it when they should have. This goes to show the importance of paying attention to the limits of equipment when it comes to outer space, as keeping the Tiangong-1 Chinese space station in service longer than it should have been is going to result in a fiery chunk of metal crashing down to earth in around 10 days. It’s important to keep in mind that the majority of the Chinese space station will likely be incinerated upon reentry into our atmosphere. However, there’s certainly a possibility that chunks will be left over and fall as debris, and there’s no telling where exactly that will happen outside of a wide swath of land spanning multiple continents. 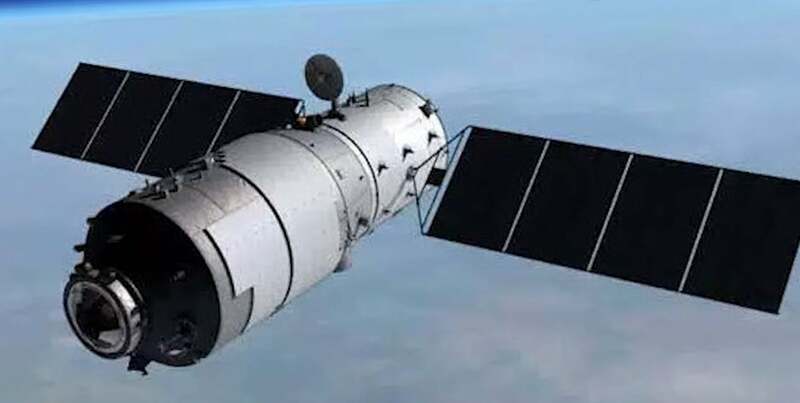 The Chinese space station, known as Tiangong-1 – or “Heavenly Palace” – is the country’s first space station, and it’s no doubt embarrassing to have their first effort come crashing down to Earth in a ball of fire. There’s no doubt that the company hoped to have the station meet a more dignified end, but the fact remains that it’s currently spiraling out of control and seeing an impact to Earth is a near-guarantee. Technical issues put the Chinese space station at the mercy of gravity, and our planet is pulling it closer and closer each day. As mentioned above, it’s currently unclear as to where exactly the Chinese space station will enter Earth’s atmosphere, and it makes the task of predicting where the debris will impact next to impossible. China has since come forward and stated that it’s likely a significant amount of debris will survive the fiery reentry, which means that there’s a definite possibility that we’ll see some real damage from the reentry of the space station. Much of the Earth is covered in water, which means there’s a high likelihood that it will just crash into the ocean and not bother humans at all. With several continents at risk of an impact, however, it’s possible that some sort of settlement will see damage from the Chinese space station. The country has not been forthcoming with how exactly their space station was built or what it was carrying, but they have said that some of the materials used to build the station are toxic, so if you do happen to come across a piece of smoldering debris, it would be in your best interest to avoid it as much as possible. The fact that the Chinese government has also been stingy with data regarding this potential impact also has many agencies concerned as to the impact that the materials re-entering our atmosphere may have. While many countries have secrets in their technology that they’d like to protect, there’s likely not a lot that we’ll be able to glean from a fiery ball of metal heading into our atmosphere – causing many agencies to grow increasingly frustrated with the silence of the government responsible for this out of control station. As we get closer to that March 31st date, we may be able to better predict where the Chinese space station debris will impact, but until that point it’s largely a guessing game with an incredibly large number of potential impact points. It’s important not to get into too much of a panic, however, as the number of people who have been hit by space debris is astronomically low despite various asteroids and other debris entering our atmosphere pretty frequently. Moving forward, many agencies will likely take the downfall of the Chinese space station as a lesson in knowing the limits of a spacecraft. In order to maintain a strong connection and keep these heavy pieces of metal under control, it is imperative that we don’t try to stretch the limits of equipment that is already under an incredible amount of stress.